The 2013 BIG5 Fair in Dubai was hold from 25th to 28th of the last Nov. We took the chance, showed our new items actively, got an perfectly effect with the recognition of our new and original esteemed customers. 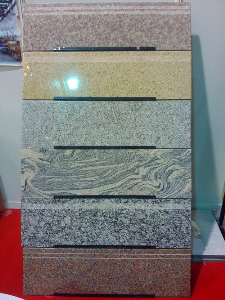 New items of quarry-owned Chinese granite contain of Golde Grain, Tanghe Yellow, Haorong Green, Nanhua White, Nanhua Red, Rosy Red and Seasame Grey. 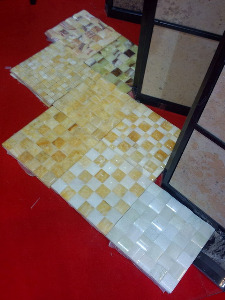 Chinese Limestone of Classic Cream, which includes of two color with one is light and the other is dark.Also new production of China Onyx mosaics and beautiful Chinese Stairs shown as pictures above. They are all detailedly observed and visited by people come and go. 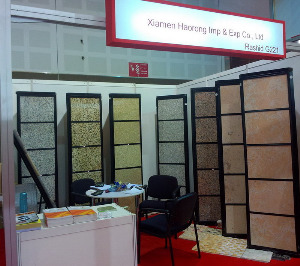 Customers from the world asked for the prices, and talked with us for details confirmation on our booth. They took the pictures and samples that they liked, and we are keeping in touch. Through this exhibition, we believe deeply that our new items have the market , and we will keep on doing our best to open the way and continue to push the the win-win policy with customers all over the world.